Born Peter Rasputin and raised on a Siberian farm, Colossus' humble roots could not have revealed the life he would one day lead! Recruited by Professor X, Colossus left his home to begin a new life of danger and adventure alongside Wolverine and the X-Men! 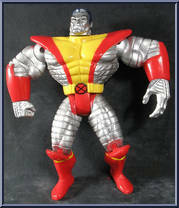 A powerful mutant, Colossus can transform his body into living metal, giving him a physical strength and invulnerability matched by few! But with all his power, Peter Rasputin is an artist at heart, and resorts to using his mutant gifts only when they are needed in the service of his fellow X-Men. Contribute pictures, update details or suggest corrections for Colossus (Red & Yellow). 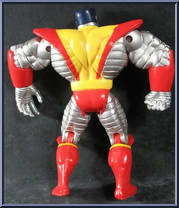 Write a review about Colossus (Red & Yellow).